***BALI VERTICELL LEAD TIMES -- 72" HEIGHT OR LESS ARE SHIPPING IN 14 BUSINESS DAYS (WEEKENDS NOT INCLUDED); 72" OR GREATER ARE SHIPPING IN 60 BUSINESS DAYS (WEEKENDS NOT INCLUDE)*** Bali's VertiCell shades the perfect application for patio doors, wide windows and room dividers. 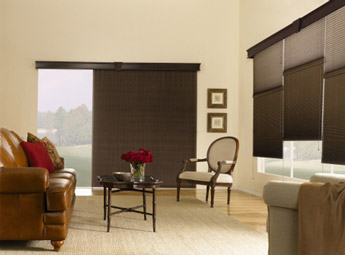 This blind is vertical sliding cellular shades that features a sliding fabric that is attached rail that slides across a rail. 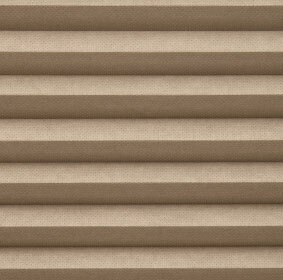 The Customer can have this window treatment in a one way draw left,right or center stack. 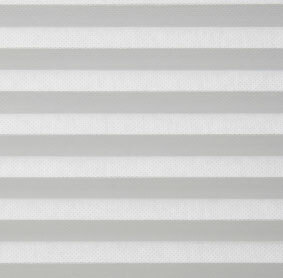 Solitaire Double Cell is a light filtering fabric which allows light to gently filter through and provides privacy. Images and shapes may be seen through these shades but details are not visible. 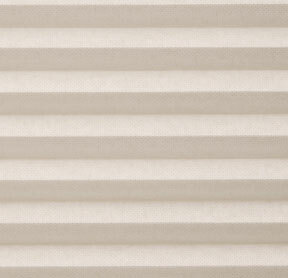 Solitaire is made from a soft "pointbond" fabric which adds a subtle texture and character to your shades. Height 6" 7" 8" 9" 10" 11" 12" 13" 14" 15" 16" 17" 18" 19" 20" 21" 22" 23" 24" 25" 26" 27" 28" 29" 30" 31" 32" 33" 34" 35" 36" 37" 38" 39" 40" 41" 42" 43" 44" 45" 46" 47" 48" 49" 50" 51" 52" 53" 54" 55" 56" 57" 58" 59" 60" 61" 62" 63" 64" 65" 66" 67" 68" 69" 70" 71" 72" 73" 74" 75" 76" 77" 78" 79" 80" 81" 82" 83" 84" 85" 86" 87" 88" 89" 90" 91" 92" 93" 94" 95" 96" 97" 98" 0 1/8" 1/4" 3/8" 1/2" 5/8" 3/4" 7/8"
Headrail is always in white.